Burnaby Graffiti Removal keeps our Gorilla technicians on their toes, that’s for sure. In fact, they carry out so much Graffiti Removal in this area we’ve had to create a ‘Gorilla Route’ just for Burnaby alone! We have seen our Burnaby Graffiti Removal Service call outs double over the last year! The majority of these calls come from a 1 kilometre radius off Kingsway and Willingdon Avenue. The dense, Burnaby core is a hot spot for graffiti artists and needs to be monitored constantly. Like all Graffiti Removal programs, time is of the essence. The quicker the Graffiti Removal commences, the sooner the taggers learn that they picked the wrong property. Their brand of ‘artwork’ is not tolerated here. 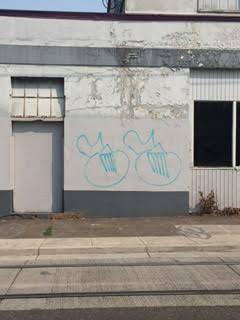 Rapid Graffiti Removal can also help with those facades that may be a little more sensitive to the paint used by taggers. Allowing graffiti to sit, or planning on removing it at a later date may cause ‘ghosting’ on a surface such as this. Basically meaning, the paint has penetrated the building material. When this occurs an outline of the damage can still be seen, even after removal. However, this is not a reason to panic. Our Gorilla technicians are fully equipped with top of the range products and expertly trained in all Graffiti Removal processes. The permanent removal of ‘ghosting’ being one of these. Whether you own or rent a home or business, no one likes to see Graffiti plastered across their walls. It looks filthy and gives off an air of negligence. At Gorilla Property Services, we get that it’s not easy to keep up with the constant barrage of graffiti your Burnaby property may face. Our ultimate aim for your property is to have it looking its best at all times. 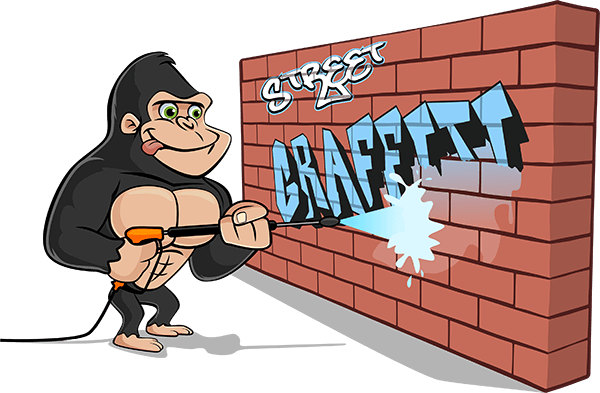 Rest assured, our Gorillas are the Best Choice for Burnaby Graffiti Removal.